American artist Glenn Ligon’s latest monumental screen-printed paintings draw upon Minimalist composer Steve Reich’s taped-speech work Come Out. Ligon’s series recontextualises the phrase ‘Come out to show them’ from the testimony of one of the badly beaten Harlem Six, which Reich isolated for his 1966 work. Whilst Reich repeats the refrain on two channels that gradually become out of sync, Ligon continually superimposes the words onto the canvas to form densely layered landscapes of text. Echoing Reich's music, the artist increases the number of silkscreen layers in each painting until the words verge on abstraction. Bringing together illustrations of new studies and paintings originally exhibited at Thomas Dane Gallery, London, an essay by Megan Ratner examines the relationship between the paintings, the phrase and history. 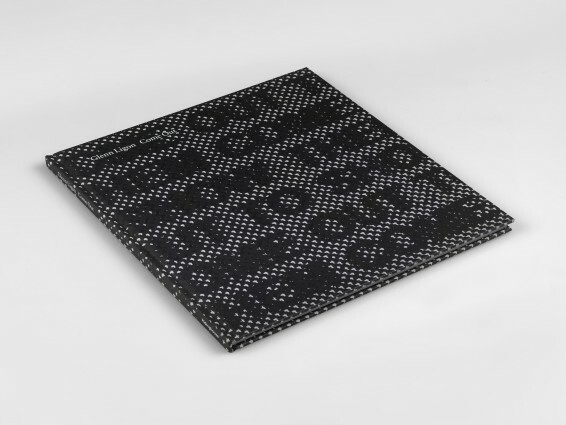 This publication coincides with the exhibition Glenn Ligon: Call and Response at Camden Arts Centre, London (10 October 2014-11 January 2015). Megan Ratner is an independent critic based in New York and has written for Film Comment, Film Quarterly, frieze and other publications.